Founded by Stephen Parker in 1997, and now joined by son Adam in 2017, twenty years later! We are a family business specialising in custom made fireplaces, fountains and sculptures. We make beautiful creations in natural stone and marble for people who want something special for their homes and gardens. We are inspired by architecture from throughout the centuries and love the process of working with stone to turn visions into reality. With our product you can add so much more to your property - we can design centrepieces and stone features that will stand the test of time and bring enjoyment to your home. While a lot of our work is available directly from our Norfolk warehouse, because everything we do is individually handcrafted, our work can be as genuinely bespoke and unique as desired. We also deliver worldwide! Visit our website to view our selection of fireplaces! The Heating Centre is the leading fire, stove and fire surround business in Coventry with an extensive showroom displaying over 200 working fireplaces. We supply and install fireplaces to customers Coventry, Rugby, Solihull, Knowle, Nuneaton, Leamington Spa, Warwick, Kenilworth, Stratford upon Avon & surrounding areas in Warwickshire. 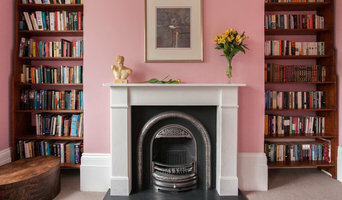 We offer all our customers expert professional advice and support the planning of any fireplace project large or small. 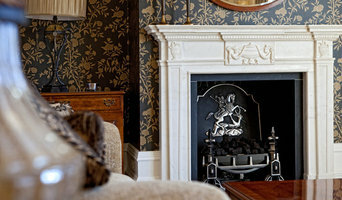 CSI are a family run fireplace & flue specialist company working across Cambridge, Norfolk and Suffolk. We undertake all things fireplace and flues, chimney stack rebuilds, chimney stack re-points, installations of stoves, flue liners, twin wall flues and surrounds. In a home visit, we would help you the select correct product and installation required for your home. We don’t have a show room, but this allows us to be a lot more competitive on prices. We offer through out the year a complete aftercare package, which includes painting & decorating the room, full carpet clean on the room containing the installation, and windows cleaned inside & out. At the end of the install your room is exactly how you like; fully cleaned and functional. This is all covered to an exceptional standard at an extremely competitive cost. We specialise in flat wall installations, combining fireplace and audio visual to create a feature wall incorporating either a balanced flue gas fire, electric inset or bio-ethanol fire, together with recesses for a tv, sound bar and other av equipment. Since 1984, as our passion for beautiful fireplaces grew, the business began to evolve and to focus on the ability to provide truly bespoke solutions to customers. We offer a complete design to installation service and can supply fireplaces to clients' exact requirements manufactured by expert craftsmen. Every fireplace is installed by our specially trained Hetas & Gas Safe registered engineers with over 40 years experience in this field. We focus on providing a high level of care and attention with minimum fuss and disruption. We expect your standards to be high and we make sure that they are met. The result for you is complete peace of mind from start to finish! All you have to do is sit back, relax and watch the transformation take place. 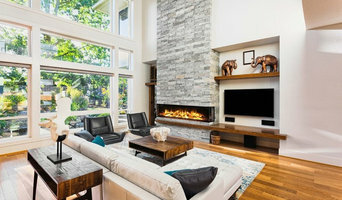 Should you choose to visit or contact us, one of our experienced designers will visit you in the comfort of your own home and guide you through the wide range of beautiful fireplaces and stoves options available, showing you the collection of styles and helping you to choose the perfect product for your home in terms of style, form, function and budget. We can't wait to work with you - give us a call with any questions or to get started! At Firemaker we design and build made-to-measure wood burning stoves, suspended fires and commercial outdoor swing grill BBQs. With our made-to-measure stoves you can avoid the compromises often associated with fitting an 'off-the-shelf' model. You can also create impact in your home with the modern styling and elegant craftsmanship of our suspended wood burning stoves and hanging fires. We deal direct with home owners and businesses in the UK and abroad and work with you every step of the way to create the stove you've been looking for that's a perfect fit. 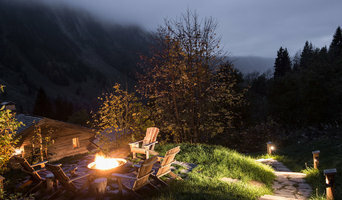 About Us We have over 15 years experience stove designing and building. As well as producing bespoke fires we support other major UK stove manufacturers in the development of their new products and so we are fully versed in the art and science of stove design. Based in the Scottish Borders, we carry out projects throughout the UK and beyond. Take a look at the projects here and get in touch to see how we can help with your's. 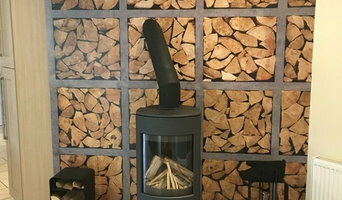 At Eco log Burners we believe in high quality, cost efficient and environmentally friendly products.